I'm hungry, let's go get some Chinese Food. We're in Phoenix, Arizona in 1917, and I know the best place in town - the American Kitchen, run by Yee Sing. I've been going there since it opened, in 1903, and it's great. Yes, of course you can get Chow Mein. I understand it's very popular in San Francisco! 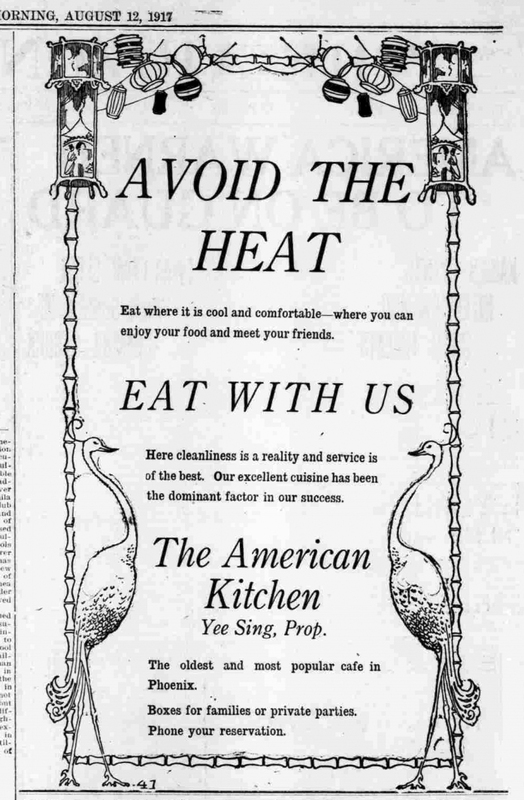 And no, I have no idea why Yee calls his restaurant "the American Kitchen". Maybe because he's from China, and this place is in America. Maybe we should ask him. Of course he speaks English! It's just north of Washington, on Center Street. Wow, I can smell those Chinese Noodles from here. I'm hungry! I've been helping out the Blacksmith all week, and I've got thirty-five cents in my pocket, so I'm going to get the full meal. You can get a short order if you want to. Boy howdy, that was good! We'll have to go back soon. I got the Chop Suey, and it was wonderful. And I think one of the girls there was making eyes at me. Or she may have been looking at you? 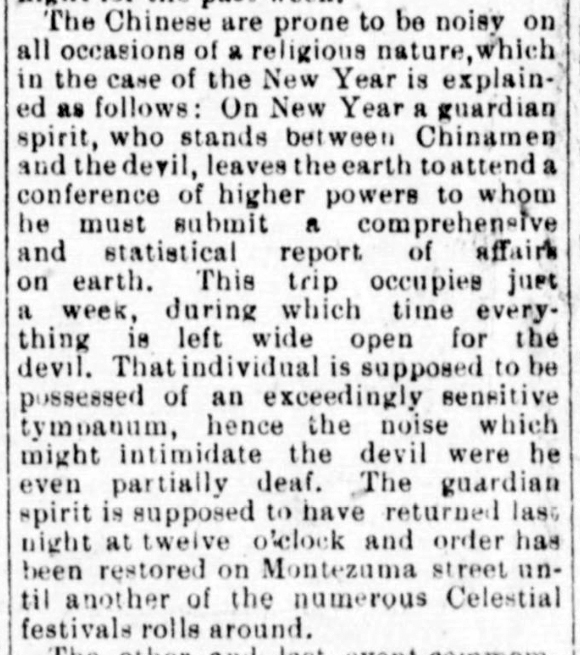 I think I saw her at the big New Year's celebration on Montezuma Street (1st Street). It's great living in Phoenix, isn't it? 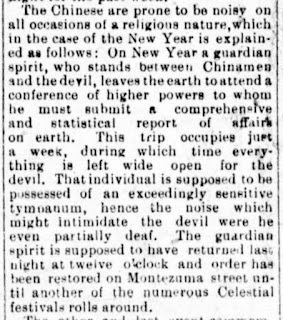 1893 New Year's Celebration by the Chinese population of Phoenix, often referred to as "Celestials". The American Kitchen in the 1940s. 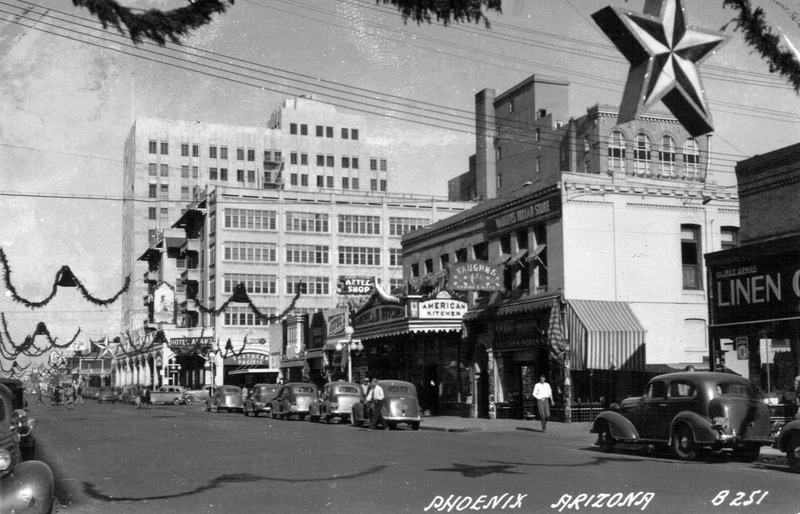 Central just south of Adams, Phoenix, Arizona. 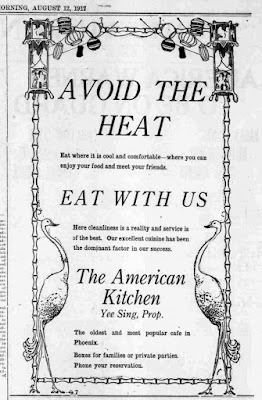 Image at the top of this post: 1917 ad for the American Kitchen, Central and Washington, Phoenix, Arizona. From the Library of Congress.